The Twittersphere has gone into overdrive to ridicule the Russian nationals accused by the British government of being behind the poisoning attack on a former Russian spy and his daughter in Salisbury, England, after an interview with RT in which they claimed to have been in Salisbury to visit the local cathedral's "123-meter spire." Alexander Petrov and Ruslan Boshirov confirmed they are the men accused of carrying out the attack in the interview with RT Thursday. 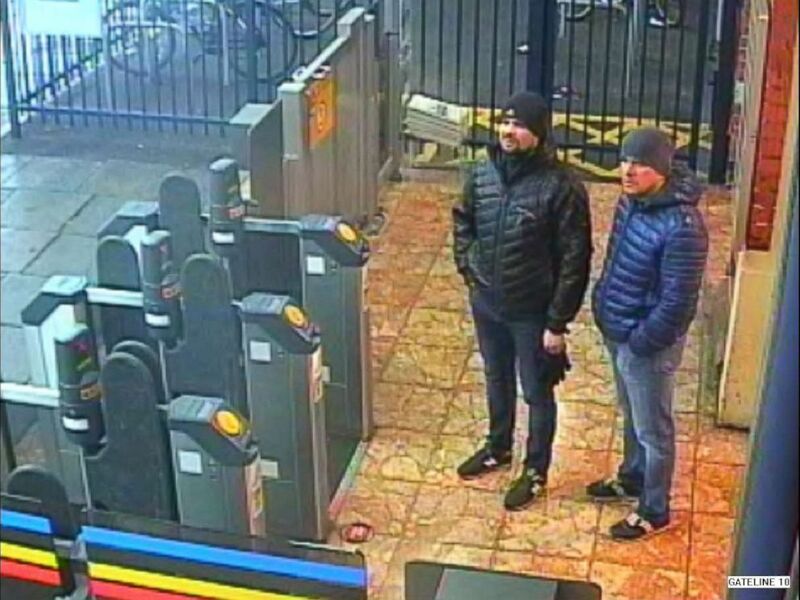 Petrov and Boshirov told RT they were visiting the "wonderful town" of Salisbury, England, to see its famous cathedral. But British Prime Minister Theresa May said in a statement to the House of Commons last week that the Russian nationals were wanted for the attempted murder of Sergei and Yulia Skripal and attending police officer Nick Bailey on March 4. 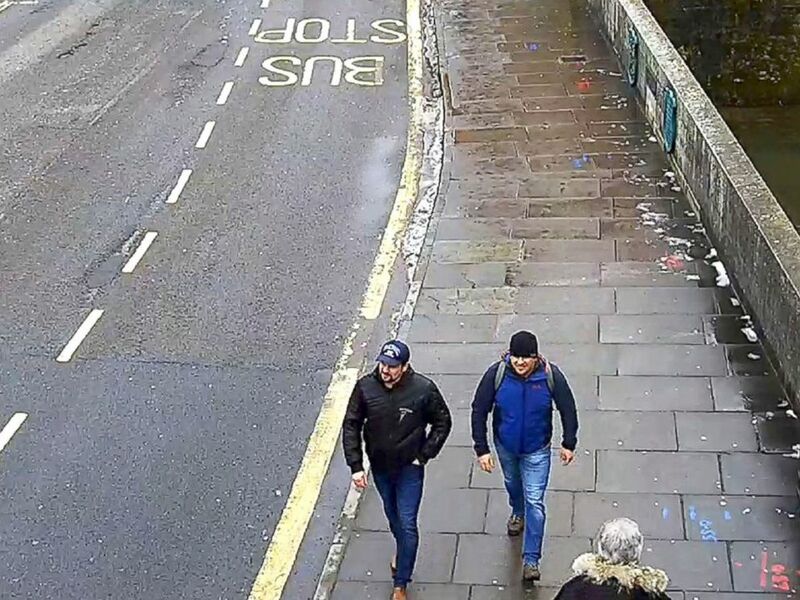 In this file grab taken from CCTV and issued by the Metropolitan Police in London on Sept. 5, 2018, Ruslan Boshirov and Alexander Petrov walk on Fisherton Road, Salisbury, England, March 4, 2018. Downing Street dismissed the interview with Kremlin-backed RT as "obfuscation and lies." The British Foreign Secretary Jeremy Hunt led the charge, tweeting, "The last time Russian military claimed to be on holiday was when they invaded Ukraine in 2014." One user compared Petrov and Boshirov, who said they were businessmen working in the fitness industry, to the burglars in the movie "Home Alone." Some pointed out that the pair had flown all the way from Russia to visit the "wonderful" English town twice in two days, while ignoring the UK’s better known landmarks. Can you help two friends of mine? They’re coming to the UK, but only for 2 days. With time so tight, which two places should they visit? They claimed to have made the second trip because their first attempt to see Stonehenge was ruined by "slush" and snowfall. The alibi didn’t go down well. Others worried about the impact on Salisbury’s tourist industry. According to The Daily Mirror, a number of TripAdvisor reviews have been left on Salisbury’s page. The suspected assassins’ alibi of tourists visiting the “123 metre spire” of the town’s cathedral also sparked incredulity. The BBC's Simon McCoy couldn't resist finishing his report without mentioning the pair must be "very keen on steeples." In the aftermath of the poisoning of the Skripals, the Russian Embassy in London's Twitter account responded to the UK government’s claims in a series of provocative tweets. The embassy fired back over the interview on Thursday, tweeting: "Insults and ultimatums do not qualify as questions. For its part, Russia has sent over 60 requests to UK, receiving no meaningful reply."